Did you know that if you don't breathe you die? That's half joke but 100% reality. Then what is shallow breathing? What is obstructed and compromised breathing? It surely isn't maximized living. When I work with my clients, breath-work is vital. Again it literally is vital; it's called vital capacity. Out of all our systems, only the breath is synonymous with life. You can go a long time without food, for a while without water, but going past a minute or two without breathing is an achievement. There are two parts to this: first, increasing the maximal oxygen intake, and second, increasing the capacity of the lungs. Stretch and utilize the lungs better, then increase your cardiovascular stamina. Often I am asked for a recommendation on a program or a book someone can follow at home, and I've been reluctant to give them anything because either the program is too difficult, or the book isn't practical. 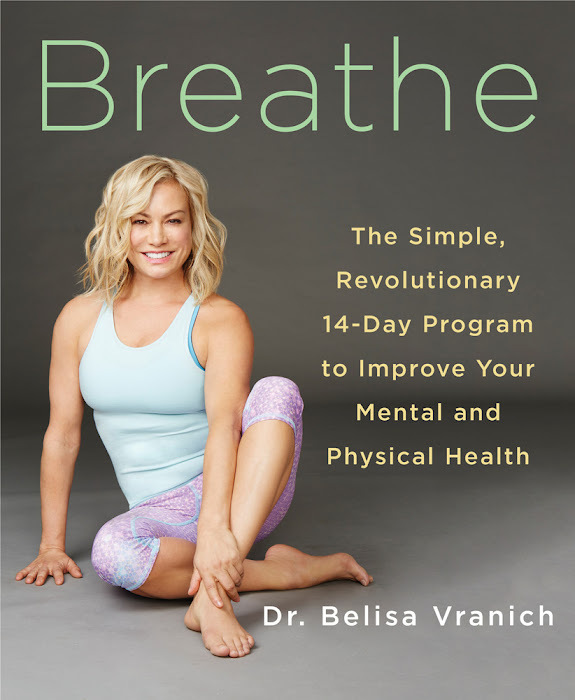 Then I read Breathe: The Simple, Revolutionary 14-Day Program to Improve Your Mental and Physical Health. And if it's not apparent by the title or the nature of this article, I liked it. I liked it so much I even attended one of her seminars, and she was just as no-nonsense in person. I'm one who wants to talk about breathing, why it's productive, why it's good for the mind, without getting too caught up in the woo-woo side of things. And Vranich was just that. A teacher who speaks plain English that teaches breathing in a way anyone from a yogi, fighter, to a police officer, can understand. In fact, Vranich mentioned in her seminar that many of her students are indeed MMA fighters and military. Few breathing experts have been able to crack their esoteric bubble, but being a clinical psychologist from New York, she is able to cater to all walks of life. So, what's the book I recommend for people trying to get in touch with their breath? Breathe by Belisa Vranich.